Offer your users an award-winning, hassle-free eBook experience—anytime, anywhere, on any device. 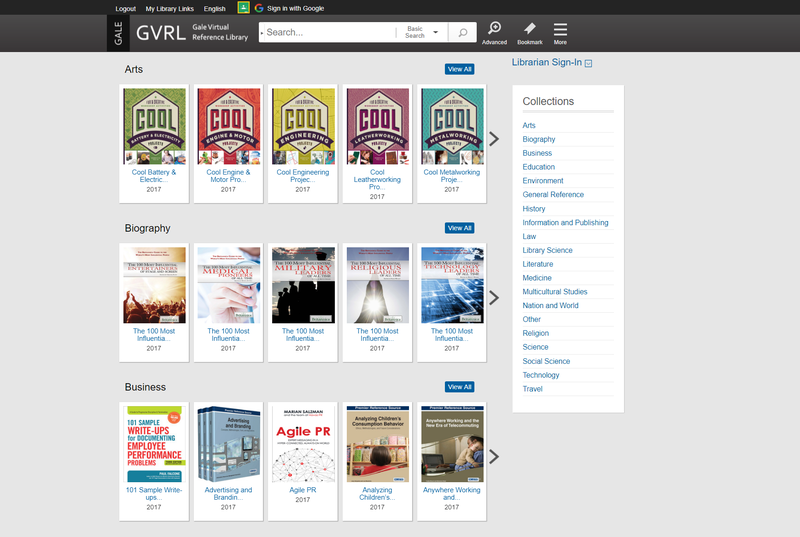 Gale Virtual Reference Library (GVRL), Gale’s eBook platform, provides comprehensive support from many of today’s top publishers. Optimize search results. 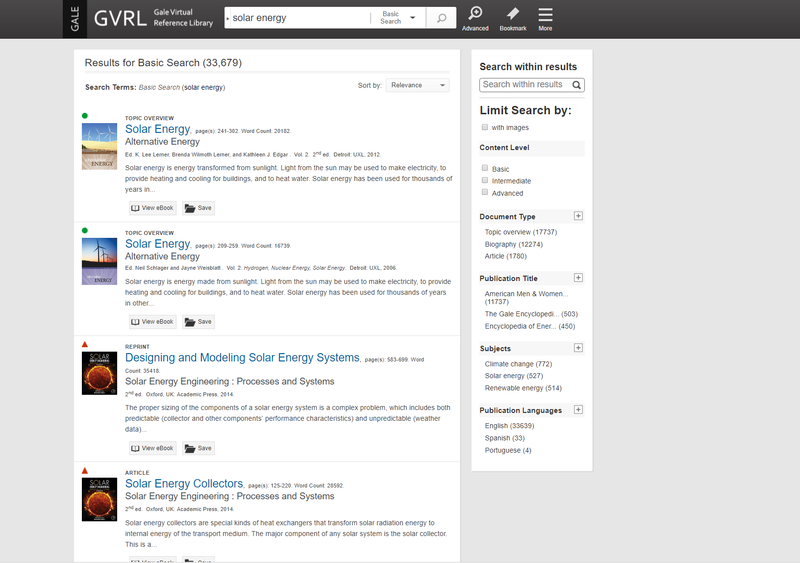 Content is highly findable via detailed indexing, discovery services, ‭MARC records, and through Gale’s InterLink technology—which connects InfoTrac periodicals to eBook content. Researchers can also search by reading ‭levels or find content based on basic, intermediate, and advanced levels ‭of complexity. Easily share bookmarks. 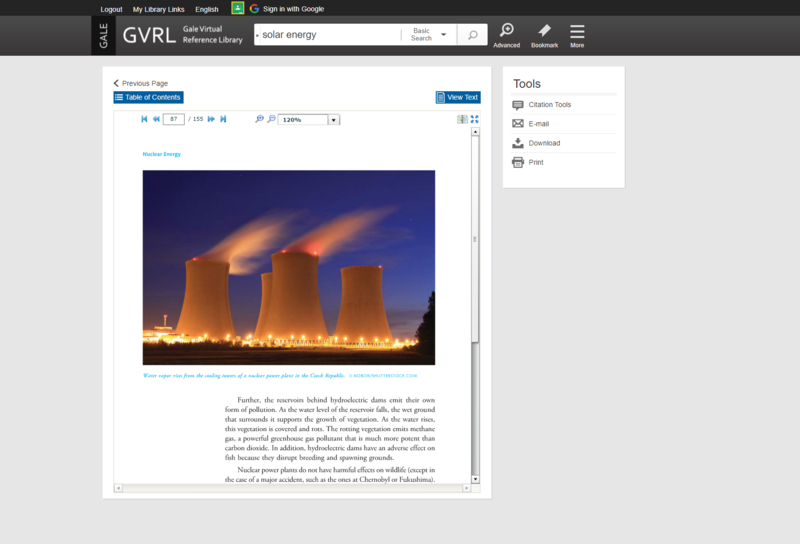 With Gale Virtual Reference Library, bookmarked links never change and are sharable to non-users. Easily embed content on your website or in printed materials. Customize your collection. 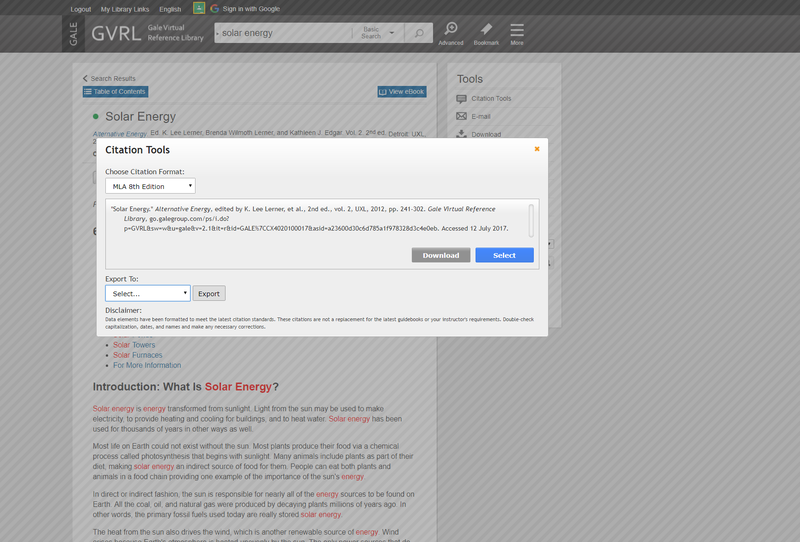 Gale Admin users have the ability to organize titles within a subject area so the most relevant titles are displayed first. Create custom collections or groupings of titles that align with goals and initiatives. Visit the support site to view videos explaining the customization portal, Google Classroom integration, downloading and sending to Google Drive and OneDrive, and more. In our newest video series, Answers from the Experts, hear from subject matter experts as they discuss the features and functionalities that distinguish Gale eBooks on GVRL. Provides the causes, symptoms, and treatments of environmental health conditions and infectious diseases so users can better understand the issues and make informed choices and plans. 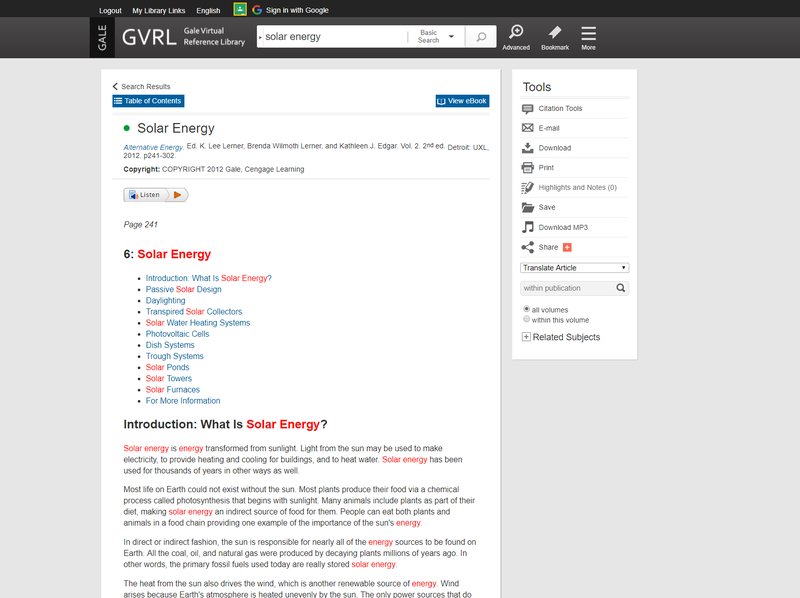 The search results reveal relevant content at not only the title level, but the article and chapter levels. Content translation is available in 23 languages and platform translation in 34 languages—on-screen and read aloud.